Doorbell Cameras without WiFi: Is this even possible? There are a number of different options when it comes to strong security for a homeowner. Having choices is important, and it’s good to consider different ideas and companies. With the right home security system, it’s possible to have value, quality, peace of mind, and a true sense of security. That’s a great feeling, and one of the ways to get that feeling more easily is to focus on having a doorbell camera. Being able to see who is there before a homeowner open the door matters — but this kind of camera can provide a lot more than just seeing the person on the front porch from another room in the house. Now, thanks to the latest and greatest technology, a homeowner can use their doorbell camera to see the person on their porch from wherever they are — even if they aren’t home at all. Why Choose a Doorbell Camera? Choosing a doorbell camera means peace of mind, and it means a homeowner will be able to know what is going on at their home at all times. When someone rings the security doorbell, that person activates a camera that the homeowner can use to see who is there. With WiFi doorbell cameras, the homeowner can use their smartphone to see who is on camera. That way they can decide whether to let that person in or engage with them in any way. But it’s now possible to use a doorbell camera without WiFi, and that can mean a homeowner can get even more value from the options offered to them by their home security provider. WiFi is still the preferred way of operating a doorbell camera, and for good reason, but there are also solutions that don’t involve internet access. Peace of mind without a WiFi connection is entirely possible. When paired with the best choice for home security, a doorbell camera can be the right option. They usually cost between $150 and $250, with some models costing slightly more or slightly less than that. This is a small price to pay for security in the minds of most homeowners, however, and a fair deal for those who are away from home a lot of the time. They want to see what is happening at their home, and if they have a doorbell camera they are essentially paying for peace of mind. Most homeowners feel that is a price they are happy to pay, because they don’t have to worry about whether someone ringing the security doorbell will realize they aren’t home and try to cause a problem. 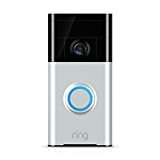 Being able to communicate through the camera and doorbell arrangement lets anyone ringing the bell think that someone is home, which can more easily deter vandals, burglars, and others who could become a problem. With all of that in mind, any homeowner who wants to use a doorbell camera should research which options will work best for them. 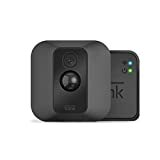 Not everyone needs exactly the same things from their doorbell camera, so there are a number of different ones on the market. While they essentially all do the same thing some have better ratings, and some are just more valuable to a homeowner for a particular reason. Coupled with a monitored alarm system, they can be a big part of feeling secure.